Empties & speedy reviews #37 featuring Omorovicza, Oskia, This Works, Clinique and more! 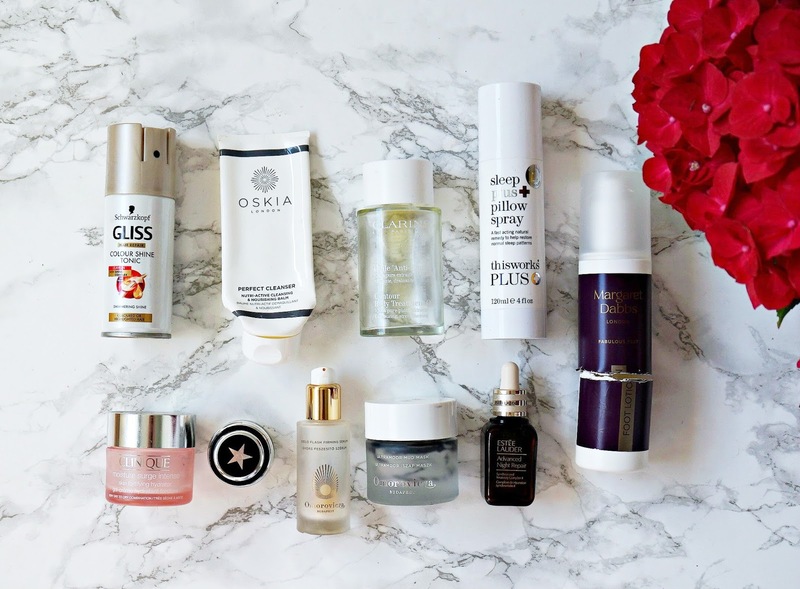 It's empties time again and you know the drill - I show what I've finished recently and give a speedy review. However, this month I am changing it up and taking inspiration from my lovely friend Sal and dividing the products into categories: have already repurchased, will repurchase at some point and won't repurchase. If you prefer the old format, please let me know in the comments below. Let's get started! Estée Lauder Advanced Night Repair: Does this even need an introduction on the blog? My number one skincare product - it heals, soothes, hydrates, brightens and firms my skin. I just can't be without this product and my skin looks better overall when I use this consistently. Omorovicza Ultramoor Mud Mask: One of my favourite masks because it deeply cleanses the skin but it also firms it leaving it looking and feeling brighter and younger. Full review here. This Works Sleep Plus+ Pillow Spray: I love this pillow spray because not only does it help me to drop off quickly but it also helps me to sleep right through - without it, I would generally have a broken sleep. I would recommend it to anybody who has sleep issues. Margaret Dabbs Intensive Hydrating Foot Lotion: This is probably the most expensive foot cream that I've used but I have repurchased because foot pain is one of the symptoms of one of the diseases that I have. Therefore anything that will help to relieve that pain, is worth the price. This lotion leaves my feet soft, smooth and soothed and a little goes a long way. Oskia Perfect Cleanser: One of my favourite cleansers - it's perfect for dry skin because it's a balm but doesn't feel quite as stiff as regular balms in tubs. It cleanses my skin, leaving it feeling nourished but not stripped. Full review here. Clinique Moisture Surge Intense: This moisturiser is perfect for my dry skin - it really hydrates and nourishes my skin without leaving it feeling greasy. I have three other moisturisers on the go at the moment but I will repurchase at some point. Clarins Contour Body Treatment Oil: This oil is brilliant if you suffer from water retention. I find that its more of a problem for me during the summer and especially after flights so I will repurchase before my next holiday. It really helps to flush out extra fluids to leave the body more streamlined. GLAMGLOW Youthmud: I really like this exfoliating mask because my skin always feels smoother and looks brighter after using this mask however I have other mud masks that I prefer (the Omorovicza one mentioned above). I will probably repurchase a mini pot at some point because a change in skincare is sometimes good. Omorovicza Gold Flash Firming Serum: This serum leaves my skin looking bright and radiant and feeling soothed and firm. All Omorovicza products really suit my skin because they are very gentle yet really deliver fantastic results. This is very expensive but it was a Christmas gift from my husband so it will be going on my wish list again! Schwarzkopf Gliss Shine Tonic: This is a really inexpensive product that is the perfect finishing spray to add some shine to my hair without weighing it down or drying it out. I'll repurchase when I finish some other shine sprays. What have you finished up recently? Have you used any of these products?